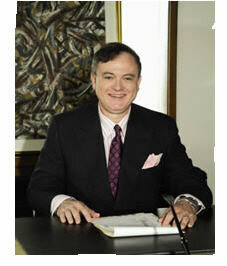 Dr Bernardino Arocha is Founder and President of Arocha Hair Restoration in Houston, Texas. He is an avid art collector and painter and attributes much of his success as a cosmetic surgeon to his artistic flair. In this in-depth interview, he explains how a natural hairline is designed using facial geometry and explores the new field of eyebrow transplants; who needs them and how to get them? He is talking with Penny Moss, host of HairLossNewsMakers.com. NHL: Dr. Arocha, how did you first become interested in art? BA: Growing up in New Jersey, I enjoyed visiting the great museums in the New York City area and watching theater in Central Park. Later in college, I studied art history and I enjoyed painting as a hobby. My favorite medium is oil and canvas. I also do a little bit of collecting. NHJ: Is this artistic background your secret to designing natural hair transplants? BA: (Laughs) you’ll have to ask my patients. I have completed a fellowship in Hair Restoration Surgery which gave me the opportunity to train with some of the leading hair restoration surgeons in the world. From them, I learned many useful principles and techniques. Over the years I have enhanced and refined them and, to return to your question, I like to think my artistic instinct contributes to my hairline designs and helps make my work look natural. NHJ: You are very involved with temporal peak transplants and creating a “natural hairline.” What are the special things a hair transplant surgeon do to achieve the most “natural hairline”? BA: When you achieve a natural hairline in a hair transplant, we’re talking it being undetectable from what occurs in nature. This is achieved primarily by the proper placement of the hairline. Leonardo DaVinci determined that the face is divided into thirds. The distance between the chin and the nose should be a third of the left of the total face, as is the distance from the bottom of the nose to the eyebrows and then from the eyebrows to where the hairline should be. Also, you need to create a “transition zone” between the hairless skin at the top of the forehead and the area where hair begins to grow normally. I will be about one half centimeter to one centimeter deep, using single hairs, with the finer hairs being the very first and second rows and then one and two hair follicular units from the mid to the end of that transition zone. This hairline in the transition zone needs to be what call, “irregularly irregular.” In fact, I find that it can never be too irregular. Dr. Jennifer Martinick in Australia has coined the term “snail tracking across the forehead” to refer to this irregular pattern as opposed to a straight hairline which would look very unnatural. NHJ: Are there any ethnic differences to consider when designing the hairline? BA: Yes, there are differences between people from Europe, Africa and people from the Far East. With African Americans for example, hairlines can be a little straighter across, with less of a frontal temporal angle. NHJ: How can a patient be sure to get exactly what he or she expects? BA: It’s critical to visit with your prospective surgeon to see as many before and after pictures as necessary to determine if you like their work. You should ask specifically to see pictures of people like yourself so you can determine whether your expectations can be matched by the surgeon’s skill and techniques. NHJ: When we spoke last week, you told me about eyebrow transplant procedures. Who is a candidate for this technique and what kind of results can be achieved? BA: The most common causes of eyebrow loss are repeated plucking of the eyebrows and physical trauma. Many of my patients come to see me as result of accidents, surgical procedures, chemotherapy or burns. All these causes of eyebrow loss are amenable to surgical restoration. Although we can help most people, there are some situations where we powerless to intervene. One prominent example is trichotillomania, an obsessive-compulsive disorder where patients pull hairs out from the scalp and eyebrows, and sometimes even the eyelashes. Regrettably, we can’t help alopecia areata/ totalis patients either. These are genetic auto-immune disorders whereby the body makes antibodies against its own hair follicles. NHJ: How quickly do you see the benefits of an eyebrow restoration? BA: It takes about eight months for an eyebrow transplant to completely grow in. Often patients repeat the procedure if they want really thick eyebrows. NHJ: A lot of people don’t know that eyebrows and eyelashes can be restored. Is this a relatively new surgical procedure? BA: Yes it is. After I was invited to appear on Fox TV last July, I received a lot of inquiries because most people didn’t know we could do this. NHJ: What is the difference between an eyebrow and an eyelash restoration? BA: For the eyebrow, we use very acute angling sites so that the hair comes in almost flush to the skin. We create the sites at an angle of 0-10 degrees in so that the hair doesn’t stick up, and the curvature of the hair needs to bend towards the skin. In an eyelash, the curvature needs to be the opposite; away from the skin, so that the eyelash curves upward. NHJ: Where do you get these hairs from? BA: Sometimes we need fine hairs, as in a woman with fine facial hair in the eyebrow area. That type of hair tends to grow around the ear and in the temporal area. Conversely, to find a good match for a man with thick facial hair, we would probably go to the occipital area, in the back of the head, where the hair tends to be thicker. NHJ: Thank you for telling our readers about this exciting work. If someone wants to learn more about eyebrow and eyelash restoration surgery, how can they contact you?